FSU & TU Dresden students gather around for their farewell dinner. 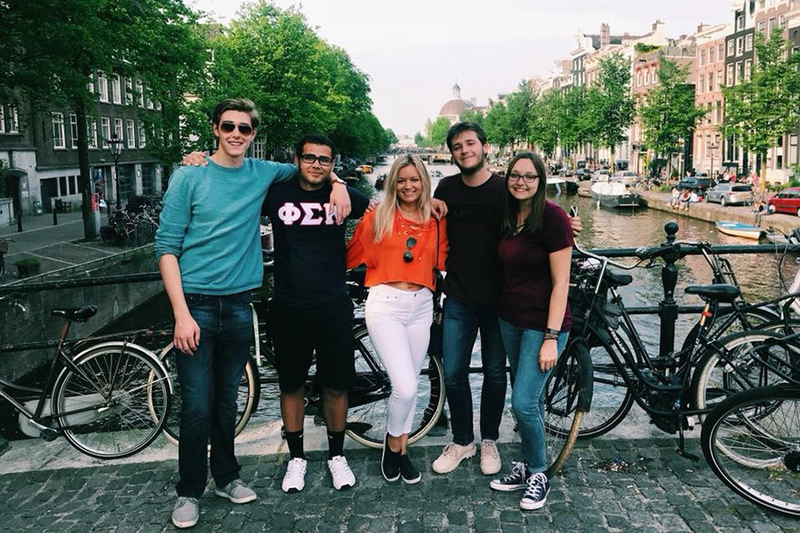 Florida State University students are using their summer break to travel the world, enhance their research skills and gain integral educational and career experience. FSU-based programs, such as the Summer Global Exchange, Beyond Borders and Global Scholars, are providing students the opportunity to immerse themselves in local and global communities, make lasting memories and form lifelong friendships and connections while pursuing academic goals. 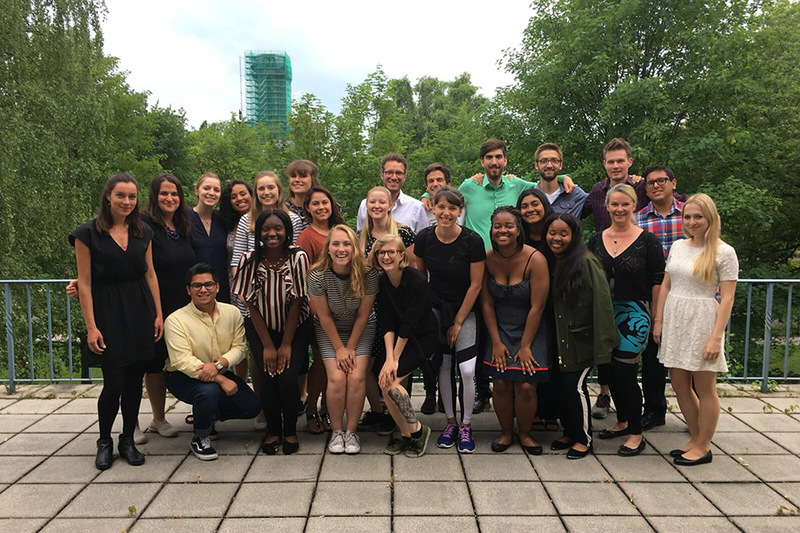 Sophomore Alexandra Saavedra traveled to Germany through Beyond Borders, a two-week cultural exchange program organized by the FSU Center for Global Engagement. During the trip, 10 FSU students visited students at Technische Universität in Dresden, Germany. The culturally immersive experience ended with a four-day trip to Berlin. Saavedra, a criminology major from Miami, recommends the program to anyone who is interested in traveling. James (right) films an anti-smoking advertisement in Dakshindari, India. Junior Dwight James traveled to India this summer through the Global Scholars Program, a two-month internship that partners students with nonprofit organizations in Asia, Africa or Latin America. “I wanted to study in India after learning about the Natya Shastra, a theatric Sanskrit Hindu text and other performing arts during my Intro to Theatre course at Florida State,” James said. Over summer break, James, a creative writing and theatre major from Jacksonville, worked as a creative arts volunteer. He wrote poems for a dance theatre, documented women’s empowerment initiatives with the West Bengal government and mentored students in American Theatre and spoken word. 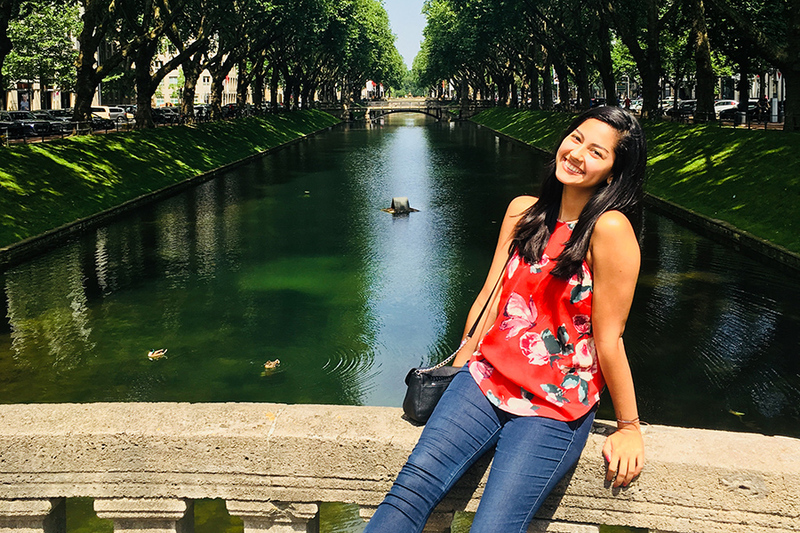 Senior Andrea Montoya-Garcia studied in Germany managing her own research project through the FSU Summer Global Exchange, which offers 12 FSU students the unique opportunity for cultural immersion and in-depth academic learning at more than 40 prestigious international universities. While in Germany, the psychology major from Tampa, conducted cognitive research with fellow FSU student Alex Aull under the direction of Christian Vorstius, a psychologist at Wuppertal University in North Rhine-Westphalia. Montoya-Garcia investigated the effects of meditation on ego depletion, the exhaustion of the physical and mental state. Results showed that 10 minutes of mediation can improve a person’s overall performance throughout the day. Senior Maura Binkley also participated in the FSU Summer Global Exchange this summer, earning FSU credits at the University of Wuppertal in Germany. Binkley, an English and German double major from Atlanta, spent her summer break studying with local German students and traveling to destinations such as Berlin and Amsterdam. Binkley (center) with some friends on a weekend trip to Amsterdam, Netherlands. 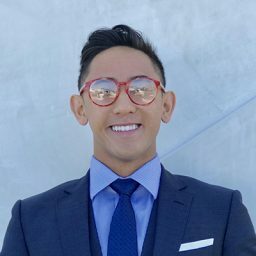 Junior Alex Cao, an IDEA Grant winner, didn’t have to travel far this summer to bolster his research skills. Cao, a food and nutrition major from Destin, conducted a self-led study at the FSU Textile Testing Lab under the direction of Elizabeth McQuerry, assistant professor in the College of Human Sciences. Cao, in collaboration with the University of Kentucky, researched how to ensure that surgical gowns in today’s market meet industry standards.